Yeah I know about the F-22s 19.7 tons. Thanks for clarifying that Su-57 numbers are just guesswork. It seems to me the numbers are heavily influenced by Su-35 data. And I wouldn't be surprised if they turn out to be pretty optimistic aswell. 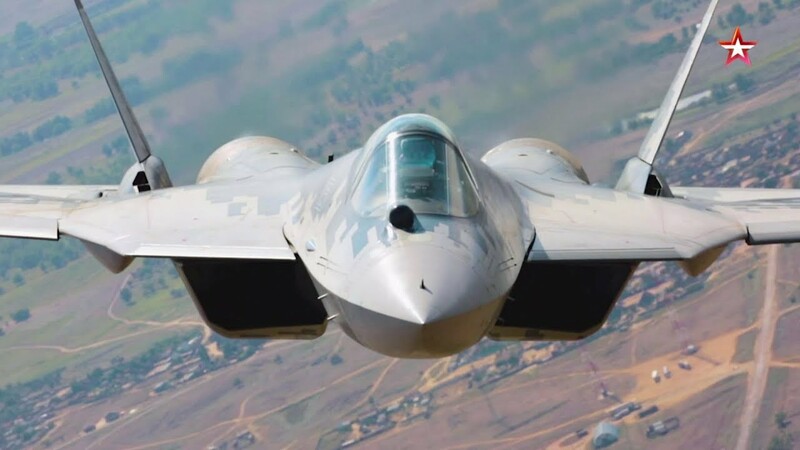 I have not confirmed Su-57 numbers are guesswork, only that I have not found official information. Last edited by LMFS; 6th September 2018, 21:40. Got a question since I ran into this source. 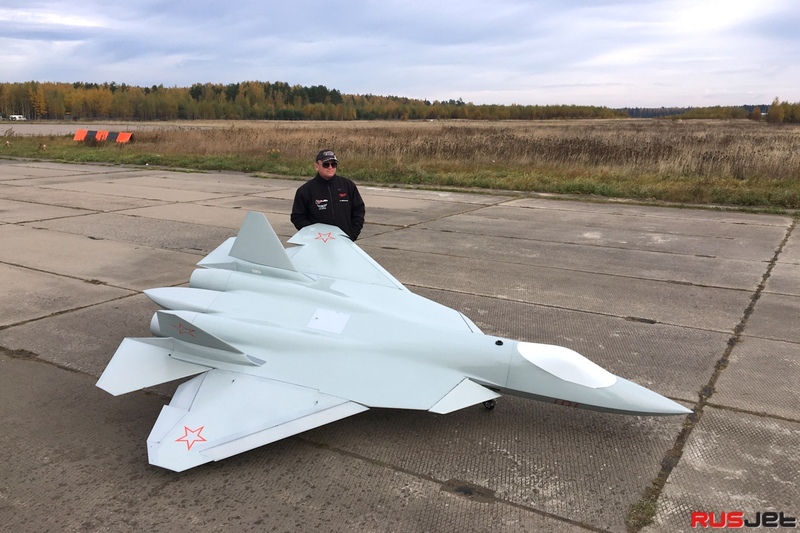 "Concern radio-electronic technologies (kret) has created an experimental model radiovolnah radar for the fighter 6th generation, which will replace the pak fa (t-50), reports tass deputy general director of the enterprise Vladimir mikheev. According to mikheev, "Progress in developing avionics for the aircraft of the sixth generation is, and in particular in respect to radio-optical photonic antenna array it on a radar locator". In r & d (research work) on the basis of the experimental sample is constructed and the emitter and the receiver. All of this work, is the location – emitted microwave signal, it is reflected back, we acquired and processed, the resulting radar image of the object. Look at what you need to do to it was optimal, he said in an interview. The deputy director noted that "Now the research is a full-fledged model of this radio-optical photonic antenna array, which will work out the characteristics of a production model". We understand what it (the radar) must be in any geometric size, on what bands and what power should work, he added. Kret also fulfills the technology specific elements of the new radar its emitter, photonic crystal, foster tract resonators. Serial sample locator do when we move to the stage of experimental design work (okr), for example, by order of the war department, said mikheyev. He explained that "Conventional radar station (radar) radiation is generated by vacuum-tube or semiconductor devices, the efficiency is relatively low – 30-40%". The remaining 60-70% of the energy is converted into heat. The new radar a radar signal is obtained by converting photonic crystal laser coherent energy in a microwave radiation. This transmitter efficiency will be not less than 60-70%. That is a big part of laser energy will be converted into a radar, with the result that we can create a radar of high power, said the deputy director. The locator will not be a separate module in the nose of the aircraft, it will be a distributed system. Something similar can be seen today on the fifth generation fighter t-50 radar which operates in different bands and in different directions. In fact it is a single locator, but he exploded on the plane. 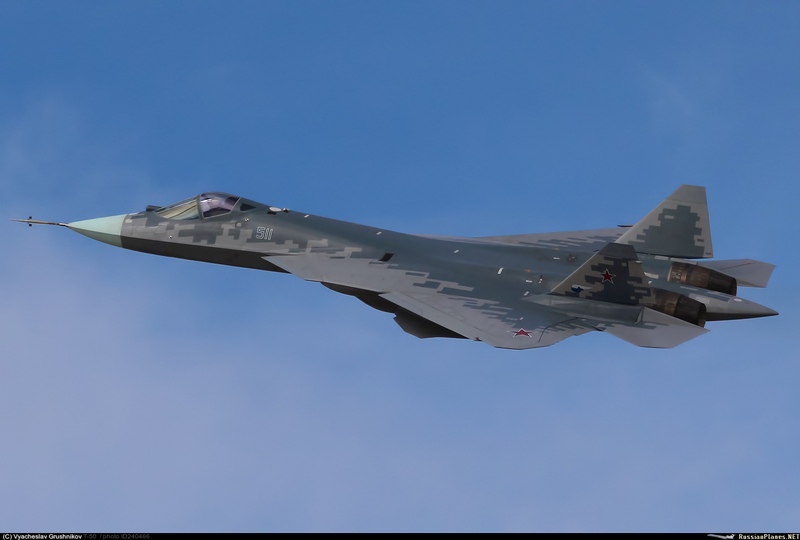 It turns out about three or four different radars, which are comfortably placed around the fuselage and can simultaneously observe all the space around the aircraft, said mikheyev. Radiophony radar will be able to see, according to our estimates, far beyond the existing radar." So let me get this straight transmitter efficiency for conventional radars on aircrafts they say 30-40% by either vacuum tubes or semiconductor devices, transmitter efficiency will not be less than 60-70% because crystal laser energy is converted to microwave radiation. When Mikheev stated this after talking about the transmitter efficiency, "That is a big part of laser energy will be converted into a radar, with the result that we can create a radar of high power." Is he referring to the amount of power a transmitter module could use? for conventional radar he states 60-70% of the remaining energy is converted to heat. The problem with T/R modules not being fully used to their potential is because of overheating. so if transmitter efficiency for laser energy is 60-70% does that mean they are saying that 30-40%(or lower) is converted to heat energy meaning that T/R modules on aircraft's could possibly use twice as much power because the problem of overheating has been significantly reduced? There was an indian defense forum I ran into where someone stated that the PAE(Power Added Efficiency) for aircraft X-band radars that if your exceeding 25% PAE you will be overheating your modules. Seen GaAS and GaN X-band T/R modules with 30-40% PAEs.....So is he stating that the PAE will not be less than 60-70% while the rest of the energy is converted to heat? Also are satellites using the same based technology? "If successful, the satellite's laser beam could zero in on a submarine and shoot back pulses to the satellite that would be analyzed to pinpoint the vessel's location, three-dimensional shape and speed. The beams, used in conjunction with microwave radar technology, would be able to scan areas as wide as roughly 100 kilometers or focus on areas measuring just 1 kilometer. I thought the fall of western civilization was a tragedy, now I realize it's a comedy. 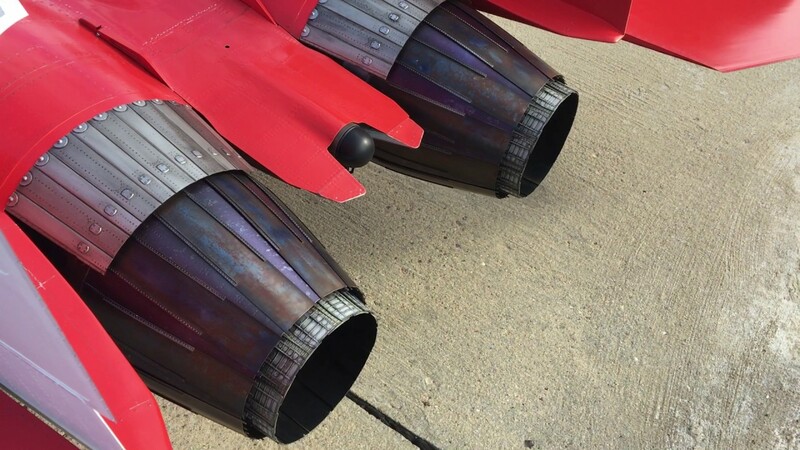 If they can pull off the way more complicated nozzle movements of the Su-57, and make it all work out, oh boy! Modeling p*rn right there. Last edited by Dr.Snufflebug; 14th October 2018, 15:32. I have heard that using 1-18ghz for AESA T/R modules compared to 8-12ghz you get less noise return in detection. So the question I am aiming for is with a 1-18ghz range can a computer for an aircraft tell the pilot which frequency gave those receivers the highest return? I am very sure you can narrow down your transmitters to a better specific frequency range on where you received the highest noise. So I am sure that a certain amount of users here are going to say X-band is better at tracking than the lower frequency fire control radars which of course leads me to my 2nd question on that. How far off target is L-band, S-band and C-band in hitting its target? I have made an estimate(my quora answer link) to the possibility of the radar beam azimuth thanks to a certain physicist of how far off target a AESA host radar system of a missile is to track a .0001m2 target on its own at what range and than determining how wide the radar beam of a missile would be than dividing the radar beam by 2 to determine how far off target the missile must be to do the rest of the magic of hitting the target on its own. Last question. VHF and UHF is good for detection but does anyone have sources of how far off target these frequencies are in hitting their targets without using fire control radars(add the usage of passive sensors as well)? Unfortunately it's kinda not possible unless you are using separate radar like L-band in wing leading edge while X-band in nose. Remember that module for AESA is limited by its width. which should be about half wavelength. Therefore you cannot make single module emit in several band. That kind of job better be done by instrumentation radar. Space available dictates the frequency. another consideration is multifunctionality which is why all fighter radars are in X-band. Can put L-band like Su-57 or Su-35 but this is of limited resolution. Yes, that's because now research are ongoing about Software defined radio i.e. about radio wave emitters able to shift between one band and another not just to change frequency inside a given one, problem is that the hardware necessary to emit a bandwidth won't change: you can easily emit shorter bandwidth from a large band emitter, the contrary is much more harder. For a airborne radar, almost always settled on X band in fighter it would lead to problems highlighted by stealthflanker. Su-57's L-band emitter could so have a definitive edge on implementing such a technology. ROFAR i.e. photonic radar would with all probability solve the problem definitely. Yes, that's because now research are ongoing about Software defined radio i.e. about radio wave emitters able to shift between one band and another not just to change frequency inside a given one. Problem is that the hardware necessary to emit a given bandwidth won't change: with this new tech, you can easily emit shorter bandwidth from a large band emitter, the contrary is much more harder. Contrary to general opinion, GaN modules are even more interesting for their larger bandwith than more power. And Zvezda is running a Su-57 special today, and it contains lots of footage of two T-50's shot from the back of an An-26. I only watched the trailer for it, and even though my Russian is kinda rusty I still heard numerous silly factual errors and what not being splurted out by the commentary... But at least the footage is good. And forgive me if i have missed this, but have they changed the sensor suite behind the cockpit glass again? Last edited by haavarla; 7th November 2018, 18:06. Does any of you have information about the presence of thrust reversers in the plane or it having an abnormally slow minimum speed? Last edited by LMFS; 10th November 2018, 15:12. Carrier landing is about more than distance, it demands strong landing gear to absorb higher than usual forces as the deck could be moving up as you land, or down. You have to slam it down as if the deck is going down but it might be moving up. The X-31 did a controlled landing at 24dgs AoA and came to a halt at some 500m (compared to the usual 2500m), and the X-31 had nowhere near as much wing surface and stuff to work with, but it did have TVC and an advanced FBW system. 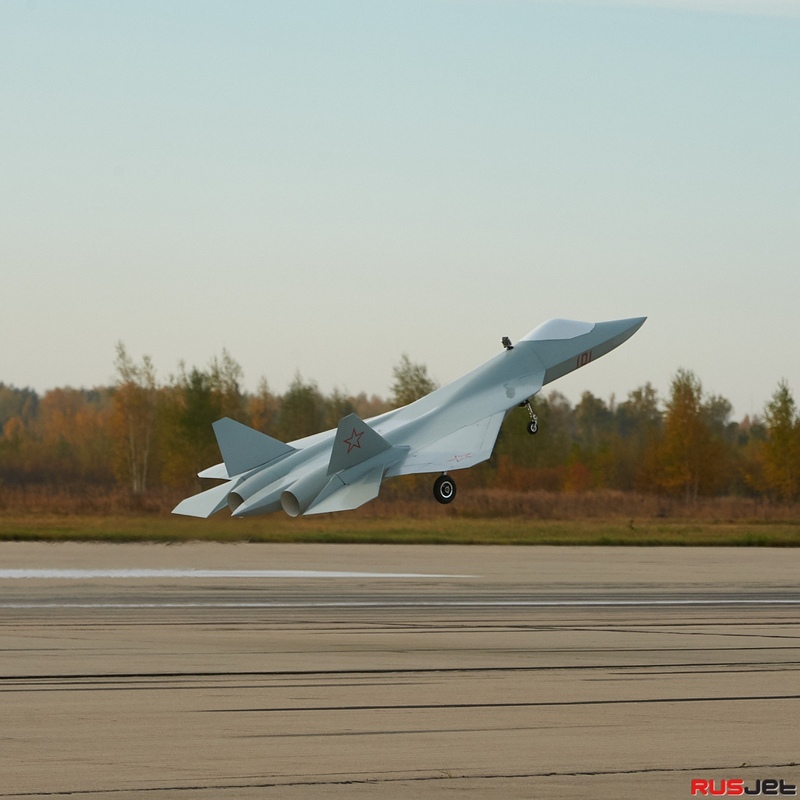 The Su-57 has powerful engines with TVC, advanced FBW, tons of available lift with a huge wing area and loads of control surfaces for low-speed maneuverability, big drag chutes, fin "braking" by symmetrical deflection (or whatever to call it, just like the Su-35S) and a pretty hefty gear assembly (which I assume provides for pretty hefty brakes). I don't think it needs thrust reversing to attain a remarkable STOL performance if lightly loaded and pushed to the extreme. What is certain though is that they're exaggerating things at Zvezda, as usual. Even if the plane under could land within a supercarrier's deck length in theory (under ideal conditions on land) does not in any way mean it can actually reliably land on a real carrier unaided. Last edited by Dr.Snufflebug; 10th November 2018, 17:49. @St. John: I know, sink rates of a carrier landing are in other league compare with flare landings. But as Dr.Snufflebug says, landing gear has the right layout for a naval fighter and is uncommonly robust, so looks compatible with a carrier landing, especially if it can be executed at lower speeds than other planes. Agree on most points. But a reduction of Su-35 landing distance to the half is remarkable nevertheless (which is 750 m with chute as stated in Rosoboronexport info), may need something more than aero, even when I think the Su-57 is very special in that regard. As to Zvezda exaggerating: the reduction of the landing distance was claimed by Sukhoi's chef designer, extrapolating it to carriers may be a Zvezda thing though. I assume the aircraft, if navalized, would resort to arrestor cables and so on for normal operation. But the potential capacity, under certain special circumstances (clear deck, enough carrier + overboard wind speed), to land even with landing strip unavailable on the whole length of the carrier would be very valuable. Naval fighters have to carry significant amounts of reserve fuel to have autonomy in case the landing strip is not available when they return to the carrier. If they managed this reduction in landing distance by reducing minimum speed, then reinforcements to the landing gear and structure could be kept to a minimum and reduce weight increase of a potential naval version. How about they get to fix the lonely CV first you know.. make it able to go full Flanking speed again. Or even better, they scrap that old lady and build a new better, bigger one. And after that we talk about Su-57 as a Naval Fighter again, how about that! Nearly all of the latest 4th and 5th generation aircraft have very short takeoff and landing distances - when the conditions are right - i.e. at very low operating weights. But an F-35 or Rafale is not much use to anyone when taking off with 50% internal fuel and just a pair of air-to-air missiles. All times are GMT. This page was generated at 18:19.